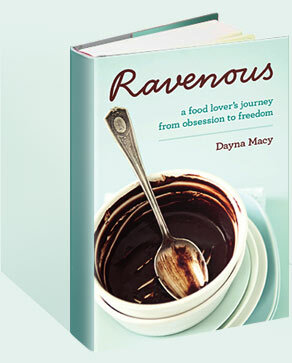 2012 June — Dayna Macy, author of "Ravenous"
Here’s an interview with me in the Miami Herald, which has been syndicated in other papers, including The Kansas City Star. It’s been a while. I’ve been mothering, wife-ing, working, writing. But mostly I’ve been living, day to day, in mid-life, wondering what’s next, while trying not to miss what is. I went with Scott to Jerry’s Retreat, a technology retreat a few weeks ago at the Marconi Center in Pt. Reyes on the coast. It’s kind of hard to describe, a kind of big brain technology idea incubation retreat. So what was I doing there? Well, I was with my techie husband, but also, I’m at a point in my life where I’m really wrestling with my next act. I loved the retreat. I loved being in a room with smart people who debated and argued. I loved that people put aside 72 hours of their precious time to be together to talk, think, and listen. What I really got out of it was that the forms of the world are changing, and not to be afraid of these changes. I’m a writer, and a musician, and how I put these aspects out into the world in the future may be different from what I’ve done previously.